In Chapter 11 bankruptcy for businesses, pre-bankruptcy planning can be essential to a success outcome. While pre-bankruptcy planning can help businesses protect some of their assets, it can also be crucial to reducing future expenses and allowing businesses to continue to operate after filing for bankruptcy. Chapter 11 pre-bankruptcy planning can be crucial to helping businesses get through bankruptcy as smoothly and favorably as possible. However, it’s important to point out that pre-bankruptcy planning can be tricky and that businesses should consult with an experienced attorney as they prepare to file Chapter 11. This is because any missteps in this planning could be viewed by the court as attempts to commit bankruptcy fraud, which could usher in a world of trouble for the business and its owners. Leadership issues – This specifically pertains to the selection of the financial managers and other professionals who will be responsible for overseeing the reorganization of the business as part of the bankruptcy case, as well as the professionals who will get the business back on track after bankruptcy (if the business plans to keep its doors open).While these professionals can include CFOs, accountants, bankers, legal counsel, etc., they should be selected ahead of time so that each professional knows his role in the bankruptcy case. This will help the process go as smoothly as possible. Labor issues – A number of different issues come into play when it comes to a business’ labor force during a Chapter 11 case. First, the business will have to communicate that it is filing for bankruptcy to its employees (and there may be some specific time lines within which this notification must legally occur).Additionally, if the business is planning some or even massive layoffs as part of its reorganization for a Chapter 11 case, it will then have to effectively plan for terminating the selected workforce, providing severance (if this is part of the layoff plan), planning for operations to continue after the layoff and planning for the event that some disgruntled employees may try to take legal action against the business. Cost issues – There are a number of cost issues that need to be considered with a Chapter 11 case, especially since entities filing for bankruptcy clearly already have financial issues.In addition to planning for the expense of filing for bankruptcy itself, businesses will have to plan for the expense of reorganization (including in the indirect expense that comes from a loss in productivity), the cost of layoffs and what the business’ overhead will likely look like moving forward. There may also be costs associated with a business moving locations and/or breaking leases (as part of the downsizing of the operation). Vendor issues, contract issues, payroll and public relations issues may also come into play for businesses and may, consequently, be critical parts of the Chapter 11 pre-bankruptcy planning process. If your business is facing a serious financial crisis and you are considering filing for Chapter 11 business bankruptcy, Denver Bankruptcy Lawyer Arthur Lindquist-Kleissler can help your business with pre-bankruptcy planning so you can resolve the corporate financial issues as favorably as possible. Since 1979, Mr. Lindquist-Kleissler and the other legal professionals at Lindquist-Kleissler & Company, LLC have been providing businesses with the highest quality of legal services when it comes to debt relief and bankruptcy (including civil litigation matters associated with bankruptcy). 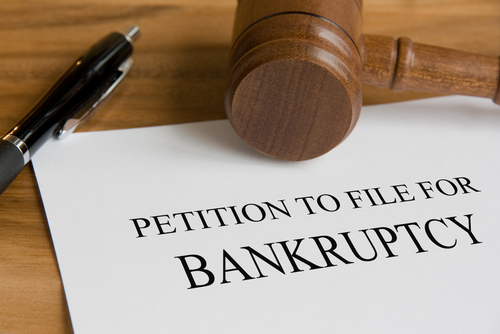 From simple to complex business bankruptcies, Mr. Lindquist-Kleissler can always be trusted to maximize utilization of Colorado Bankruptcy Law to effectively guide his clients through bankruptcy and help them achieve the best possible outcomes to their cases. For a free 30-minute case evaluation, contact us by calling (303) 691-9774, or email us using the form on this page. You will pay nothing up front to obtain trusted, professional advice regarding your case and your options.